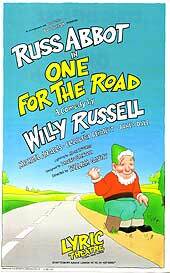 First Russell renowned for his accutely observed comic and sensitive comment on human nature has created his new comedy based on the frustrations of an 'Ordinary Joe" namely 'Dennis" who longs to swap his mortgage together with his neighbour's "Garden Gnomes" for freedom of the open road. 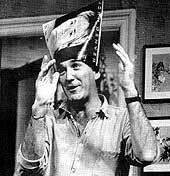 'Our Hero' is played by comedy star Russ Abbot and marks Russ's first "straight" West End role. 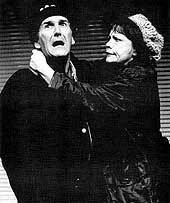 "I cannot remember another play of recent years which has made me laugh so much and at the same time left me so much involved in the feelings of the leading character."